Getting a roof replacement can do more than just improve the value and visual appeal of your home. Roof replacements can enhance the quality of your home and ensure that it is protected from the weather and rain. As roofs age, it is normal for them to deteriorate to an extent. With a roof replacement from Strongguard, however, you get quality that will last. If your roof is starting to show its age, then we can replace it with a new one. We specialise in roof replacements across the Sunshine Coast, and we source only the best replacement materials. In fact, we can help with all types of roof replacements, from tile and metal, to asbestos. We also cater for the needs of both domestic and commercial clients. So if you need a roof replacement, Strongguard can help with our quality roof replacement services. Here at Strongguard, we have been operating for over twenty years. This means that we are familiar with the different styles, designs and materials used in roofs across the Sunshine Coast. To ensure that our roof replacement solutions are right for everyone, we source the finest quality materials for metal and tiled roof replacements. We use roofing materials from BlueScope including COLORBOND® Steel, COLORBOND® Ultra Steel and ZINCALUME® Steel, so your replacement roof will be stronger than your old one. In addition to superior strength, we have found through experience that these products are the most durable. This means that you won’t have to worry about rust. Getting a new roof is a great opportunity to upgrade. With every reroofing project we offer a few services to enhance the quality and practicality of your roof. Once of these services is asbestos removal. At Strongguard, we are familiar with the dangers of asbestos. Because of this, we have qualified and licenced tradesmen who will remove any asbestos from your roof and dispose of it safely. Roof replacements involve careful planning and must be done right the first time round. This is something we are familiar with here at Strongguard. We have refined our reroofing process over our many years of operation. Our priority is to replace your roof and ensure that it is of a standard higher than ever before. When you come to us in search of a roof replacement, we will send an expert estimator to measure your site. By getting precise measurements, we can give you a very accurate quote. In addition to this, we can use these measurements to minimise waste and ensure that our replacement products are sufficient. Once you receive the quote, you can take as long as you need to consider it. If it appeals to you, simply give us a call and confirm the job. If you give us the all clear, then we will arrange for work to commence. The first step is to set up all the necessary safety equipment. 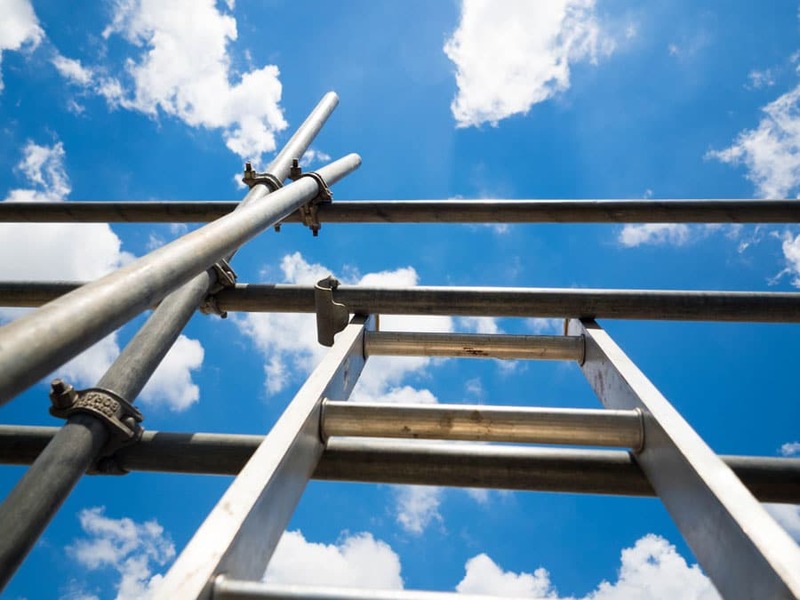 This equipment includes safety rails and scaffolding. We will then remove your old roof in manageable sections. This allows us to ensure that your home or business remains weather proof and secure. If there is any asbestos present in your old roof, we will remove it carefully and dispose of it safely. Once the old roof and asbestos is removed responsibly, we check all the supporting structures. We will repair and strengthen any support structures as necessary. If you would also like new insulation, then will fit it at this point. We use only top quality anticon blanket or batts, as we have found them to be best. Once this is complete, we will install your new roof, complete with new scribed ridges, valleys, fastenings and flashings. Finally, all rubbish will be removed leaving your new roof clean and complete. Would you like to give your home a facelift and improve its quality? If so, a roof replacement might be for you. At Strongguard, we are experts in roof replacements across the Sunshine Coast. If you would like to have a look at your options, simply give us a call or lodge an online enquiry. We welcome the chance to hear from you and we will happily point you in the right direction. #1 My house is near the beach, what type of roof do I need? Living close to the beach is a great lifestyle choice, however it can drastically shorten the life of your roof if you choose the incorrect material. Fortunately BlueScope has developed the COLORBOND® Ultra steel range for severe coastal environments, especially homes or businesses approximately 100-200m of breaking surf. Ask one of estimators for more information on the best product for you. #2 If it rains during the replacement process, will my home be damaged? Here at Strongguard, we plan each of our roof replacements carefully. There are many factors that must be considered for the replacement to go smoothly and the weather is one of them. Rain is always a possibility in the Sunshine Coast region, so our team always has an eye on the weather radar. This means that we have a time advantage if rain does present itself in the area. In addition to this, we remove your old roof piece by piece. We do this because it allows us to reinstall a section of roof if it starts to rain. We never remove a section of roof that is too large for us to handle. As a result, we can easily restore parts of your old roof temporarily and at short notice. This means that we are always prepared for unpredictable weather. 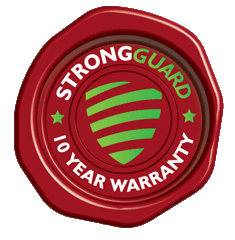 With Strongguard, your roof will be weather proof and secure for the entire duration of the process. 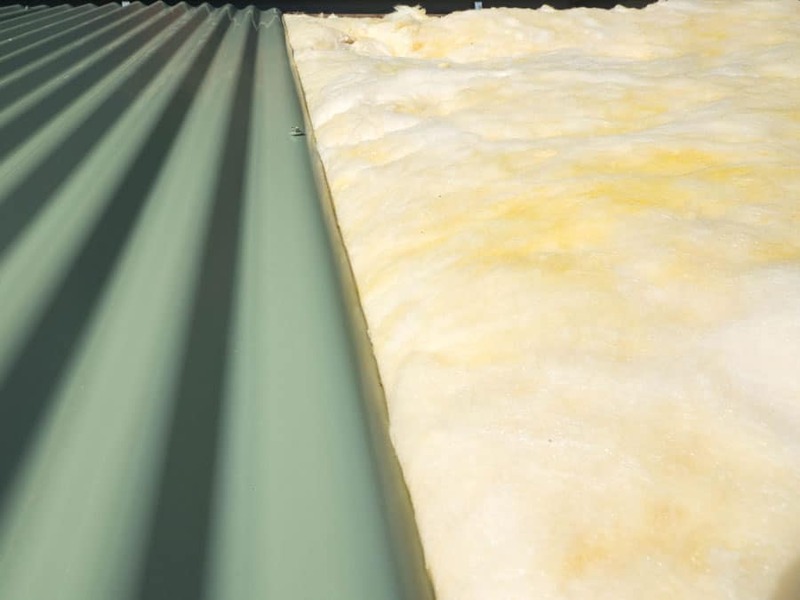 #3 Do you use Australian products in your roof replacements? Here at Strongguard, we have an appreciation of the local economy and we strive to support it. To do this, we source only Australian steel, from suppliers like BlueScope. Not only does this allow us to support Australian industry, it also ensures that we are getting unmatched quality, every time. Australian steel from BlueScope is the best on the market. It offers unrivalled durability and it is built for the harsh weather of Australia. This means that you have rust resistant protection all year round – whether it’s in the cold depths of winter or the rainy storms of summer. Rust is a serious issue for many metal roofs in Australia and we have replaced our fair share of rusty old roofs throughout our time in the industry. We recognise the damage that rust can cause, which is why we only offer the best in roofing materials. #4 How long does it take you to replace a roof entirely? 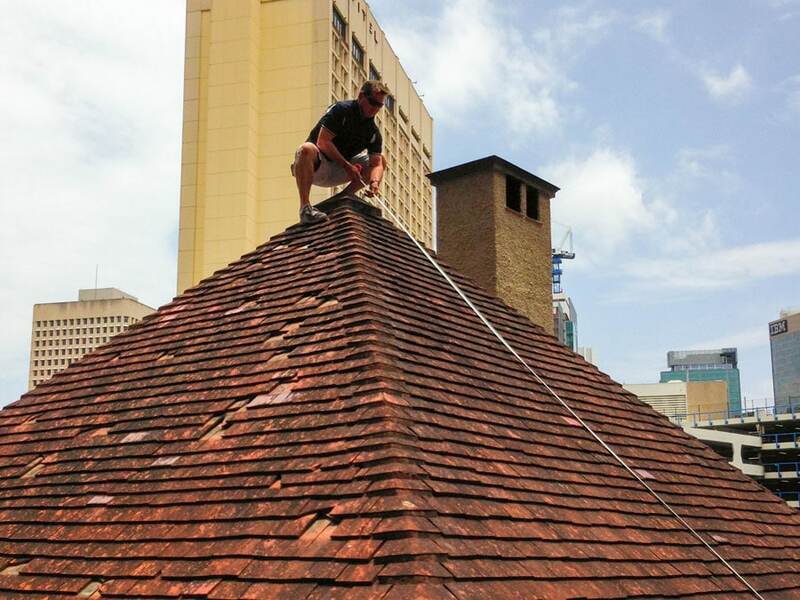 Our roof replacements are done carefully and efficiently. This means that you get the best in both quality and time management. For standard jobs on relatively average sized homes, it generally takes us 3-4 days to replace a roof. However, if you have a large home or commercial building and need a roof replacement, it may take a little longer. Size is the most important factor when it comes the length of our re roofing projects. The design of your roof also plays a part in the length of its replacement, however. Some types of roof are a little more complex than others and may take longer to replace. If you are interested in getting a clearer idea of how long it will take us to replace your roof, then contact us. We have a team of expert estimators who will gladly measure your roof and assess the size of the job. Our estimators use the details they collect during the site visit to write up a quote. This quote gives us some idea of the job’s size, so we can run you through the process and give you some idea of how long it might take. #5 Will you make sure that the job site is clean when you leave? Here at Strongguard, great service is at the forefront of our priorities. We strive to ensure that you are completely satisfied at the end result. A large part of this comes down to cleanliness, which is why we carefully clean the job site after each roof replacement we do. We will dispose of all rubbish responsibly and recycle old metal roofs. When it comes to asbestos, we take every care to ensure your safety and the safety of our tradesmen. All asbestos is disposed of lawfully, under the local asbestos regulations.